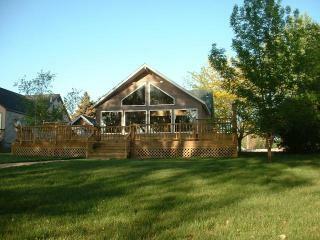 Our lodges are located on the banks of the beautiful Mississippi River in Prairie du Chien, WI. 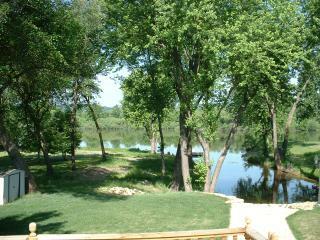 Come relax and indulge in the beauty of the great outdoors on the Mississippi River. The lodges are ideal for business meetings, honeymoons, hunting, fishing, family reunions or just a relaxing escape. Activities and entertainment can be found everywhere you look in our towns. Whether it's antiques, boating, canoeing, crafts, eagle and bird watching, gambling, hunting, fishing, leaf viewing or water activities, we have something for you. Any reservations over 6 people will need pre authorization and will be charged additional fees. Accepted via cash or check (no credit cards accepted). Deposit required within 30 days of reservation. 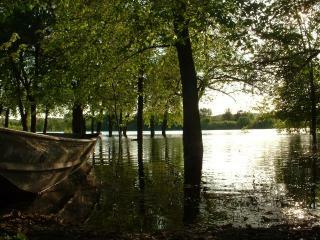 Complete refund available if cancellation is made thirty days prior to planned arrival date. Please call (608) 326-9000 or e-mail ecreekrentals@aol.com for reservations.